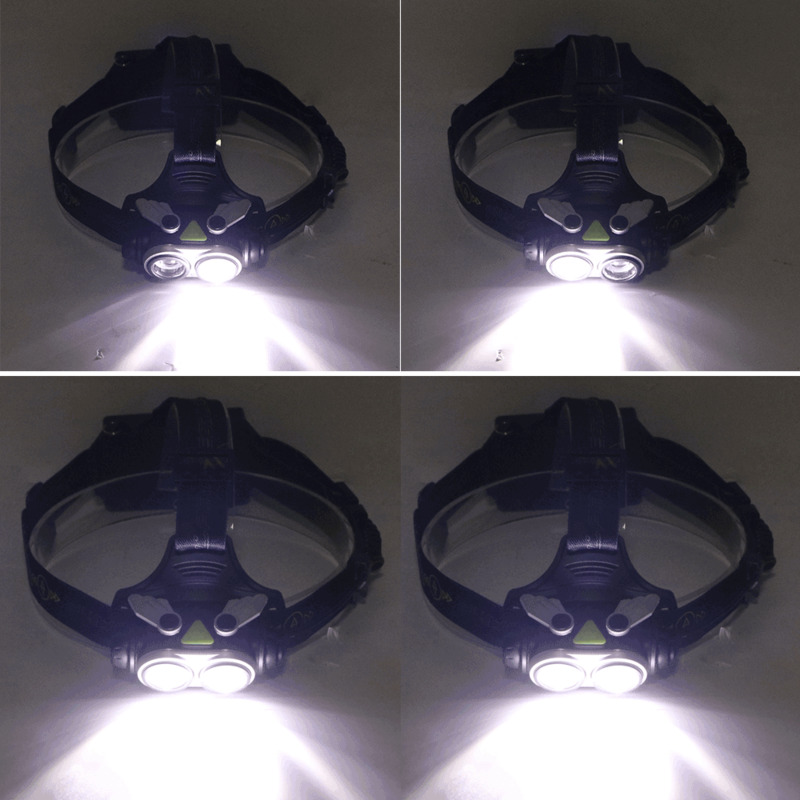 Buy High Power LED Head Light !Plastic LED Headlamp !Torch Miner Lamp V3 Headlight Night Fishing Special at Narvay.com.Online shopping for popular & hot Fishing Headlights from Lights & Lighting, Headlamps, LED Headlamps, LED Flashlights and more.Double LED Headlamp Headlight Waterproof Head Lamp Outdoor. The head It can adjust the illumination angle of 90 degrees. Suitable for sport lovers to do some such as hunting, cycling, Bicycle riding, To climb, Hike, Working, Fishing, Camping etc. All as in the description. It shines brightly. it looks and feels quality. Let's see how much it leaves. I advise the seller. It was a long time, the seller did not, but it came, the goods are working, not used, packed normally. It's okay. The led is crooked, does not affect the operation. Batteries without a piglet on the plus do not fit. I knew what i ordered. The score is excellent. This lantern has been tested by me repeatedly and i ordered a second one of the same for a friend. About the convenience of it can be prepared for a long time, but i will not paint a lot. You can wear it on your head, and due to the right straps, the head does not get tired of it. The angle of the beam can be adjusted, though in the distance to direct, though in the legs))) The beam can be diffused, or the beam of light can be directed to one point. At the same time, the distance to which the light passes is quite impressive. Due to the clip on the flashlight, it can be hooked on the belt or backpack strap. There are three modes of glow. Bright, but the battery consumption is fast. Economical, can be seen well and long working time. And flashing mode, in some situations the desired function. Included is a storage box, charging from the cigarette lighter, from the network and a wire with a usb plug. Two 18650 to 1350 mah batteries. And as a gift, compass)))) For bicycle lovers, the battery pack has a red led, for traffic safety. The flashlight came in a film without a box. Not damaged. shines very well for this money. Comfortable on the head. good quality. I recommend this product. Delivery to spb more than a month, track tracked. Convenient, bought similar in st. petersburg for 800r from china it turned out cheaper. I advise you. The lanterns are very good, i ordered two at once. Batteries from the package are charged, i use more than a month, at the beginning of charging enough hours for four, now enough for an eight-hour working day almost without turning off. Maybe the batteries swayed, i do not know, charged with charging from the kit, the capacity to see nothing. I recommend to buy. The seller has a special thank you, answered the messages promptly and on the case. Delivery 33 days to stavropol. all as in the description. I advise the producer. Got, packed well, came all intact, the quality is good, compared to other similar models, plastic without burrs and uneven joints, shines brightly, for work the most. Before use, do not forget to remove the plastic film from the batteries to make the lantern work. It was upset that they did not put a gift, although the description indicates that it should be, but nothing terrible. The seller is sociable, i recommend to buy this product with a charger and batteries. Still strains that the chinese batteries are through 2 millimeters of rubber protection, but in principle pofig. Flashlight went for a long time. But he did. I did not turn on immediately. The plush contacts are strongly recessed into the case and the battery 18650 did not reach the contacts. The problem was solved by simply soldering solder on contacts. Now it's just fire. 3 modes, bright, weaker and stethoscope. If you compare the brightness with a flashlight from the decathlon then this one is much brighter. The flashlight shines normally, for their money. The box behind (where the batteries), glows red. Batteries included with a capacity of 1200 mah. the flashlight itself is adjustable in a vertical plane, up down. Everything, nothing else is regulated. Three modes, normal light, weak light and blinking. When long press the button blinks sos. Batteries are closed with a rubber cap. If you have a connector on the battery compartment. Flashlight is satisfied, slightly heavy, compared to aaa flashlights.